How to tell if a pearl is real? These days, the market is full of counterfeits and imitations, especially in the gemstone business. The pearl industry is not an exception. Before, pearls were only found in the wild. This made pearls very rare. Today, technology makes fake pearls look remarkably real, which means that the probability of purchasing faux pearls is high. Counterfeit pearl products change over time. An imitation pearl today, may not have the same features as a counterfeit pearl a couple of years ago. Therefore, the best way to know how to tell if pearls are real is by knowing the features of an authentic pearl. So let’s learn how to tell if a pearl is real. FACT: While observing pearls under a magnifier, specialists can easily tell whether they are a fake or a real gem. In general, if the surface is grainy, the pearl is real and if the texture is eggshell-like with a rugged look, the pearl is an imitation. 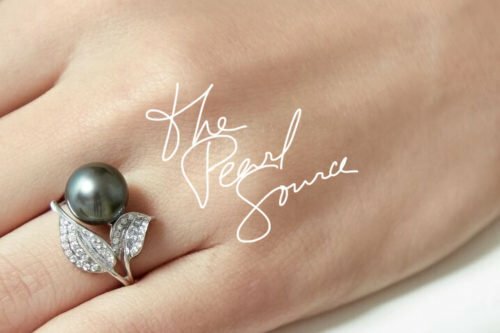 The first and the easiest way to tell if a pearl is real is by feeling it. When you touch a real pearl, it feels cool and warms up when worn. Fake pearls feel warm, and can be sticky when felt with fingers. 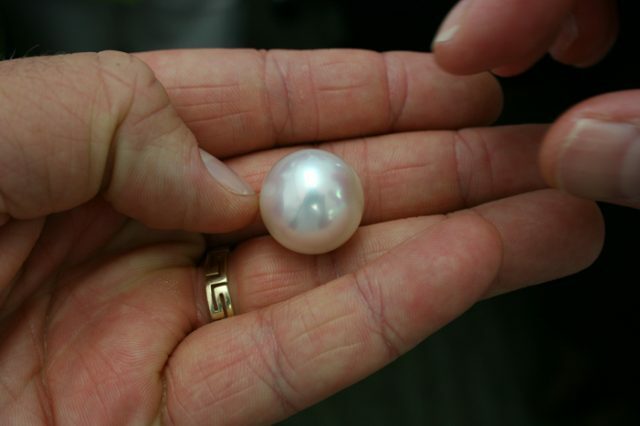 A natural pearl has a unique weight. Counterfeits may have a weight that is ridiculously small or an exaggerated heavyweight. Real pearls come in different sizes and shapes, unlike the counterfeit ones that come in basically one-size-and-shape-fits-all. Genuine pearls have the ability to reflect unlike the imitations, which have no reflection capabilities. 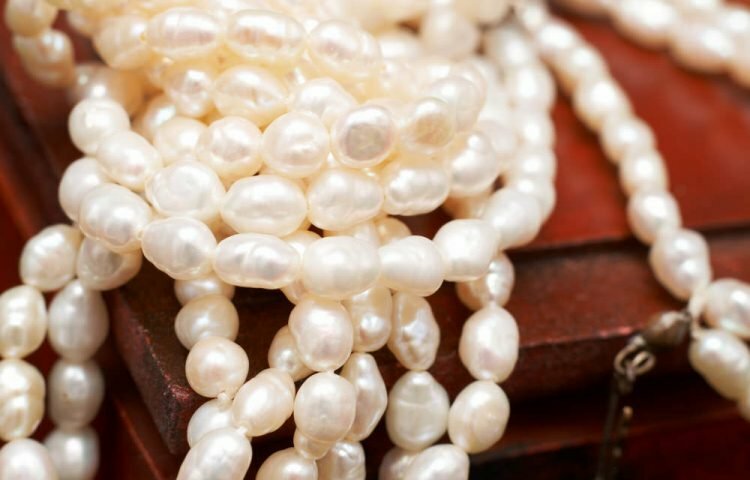 The most common misconception about real pearls is that they are extremely expensive, which is why some choose imitations over cultured pearls. 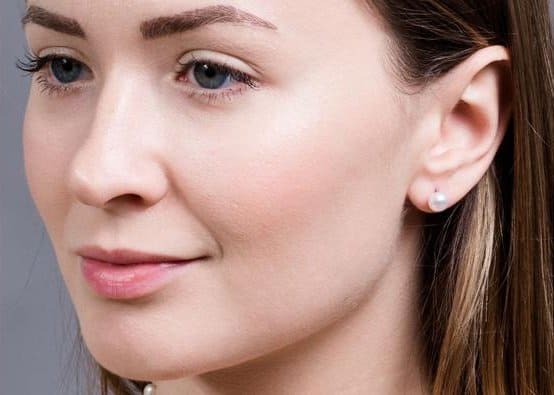 But gorgeous gems like Freshwater Pearls make stunning jewelry pieces such as timeless stud earrings, complete with very attractive price tags. Another way of telling whether a pearl is real is by checking its luster. A real pearl has a unique pearl luster and a natural, rough feel. This is because it has small ridges on its surface. These ridges may not be visible to the naked eye. However, experts and jewelers can check the “natural flaws” in a pearl using a magnifying object. In real pearls, these same ridges can be felt using the teeth. However, testing with the teeth is not accepted by many retailers. When a real pearl is rubbed against another real pearl, a pearl powder is produced. The same effect is seen if a real pearl is lightly scrubbed using a knife. If two fake pearls are rubbed against each other, the process is smooth, and no powder is produced. Knock two real pearls against each other, and a soft and unique sound is produced. When counterfeit pearls are knocked together, the sound that is produced is very slight. FACT: A great way to tell if a pearl is real is the bounce test. Drop the pearl from 2 feet high on glass, then observe the rebound height. If the pearl bounces back up more than 1 foot, it is most likely real, as imitation pearls’ rebound height is much lower. Another method anyone can use to learn how to tell if pearls are real is a naked flame. When you burn a real pearl mildly, the pearl remains shiny, intact and produces no odor. If the flame is consistent for about 2 minutes, the pearl produces a pop sound. A counterfeit pearl coming across a naked fire will produce a bad odor, and it loses its luster. 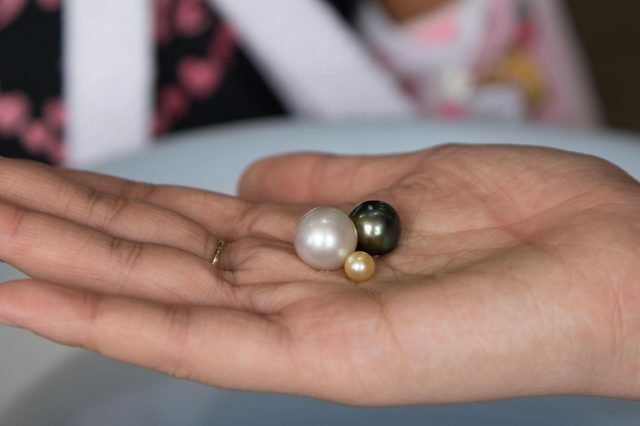 There are special chemical methods that can be used to find out if a pearl is real. A genuine pearl has a relative density of 2.73 and dissolves in hydrochloric acid. Counterfeit pearls don’t react to hydrochloric acid. An authentic pearl is not affected by acetone solution. However, a counterfeit one loses its luster totally when acetone is used.